Samsung says that as part of its “commitment to ongoing safety,” it will deactivate service on all remaining Note 7 smartphones still in the Canadian market on December 15th. The South Korean smartphone manufacturer says that close to 90 percent of all Note 7 smartphones have been returned in Canada. According to Samsung Canada, the functional constraints set to be implemented on December 12th include limiting battery charge and disabling both Wi-Fi and Bluetooth. Sarting December 15th, Canadians still using the Note 7 on a mobile network in Canada will also no longer be able to make calls, use data or send text messages, essentially turning the smartphone into a dangerous paperweight. Samsung instituted a similar software update in Korea that limited the battery charge of the explosive smartphone. “We strongly urge any customers still using their Note 7 to return their device to the place of purchase for a refund or exchange between December 7th and December 15th,” said Samsung in a statement sent to MobileSyrup. The company is also reminding customers that all Canadians currently still in possession of the Note 7 are legally prohibited from selling or giving away the beleaguered smartphone. Following the Note 7’s initial recall, a small number of replacement devices also began to experience difficulties, prompting the company to eventually recall all Note 7s. Back in early September at the time of the Note 7’s first recall, Samsung Canada told MobileSyrup that 70 percent of all Canadians who purchased the smartphone had returned it for a replacement device. 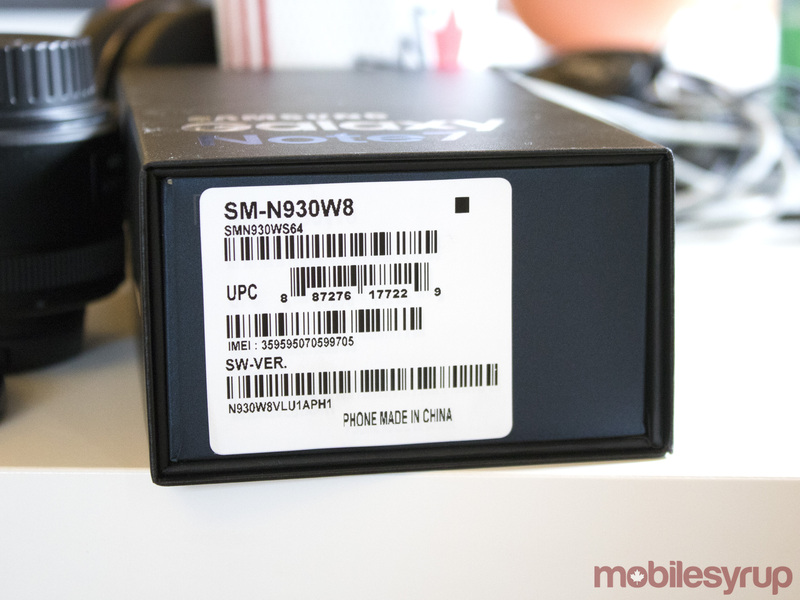 Samsung’s initial replacement process was heavily criticized by some consumers for being confusing and also for taking a considerable amount of time to ship the supposedly fixed smartphone back out to Canadian customers. 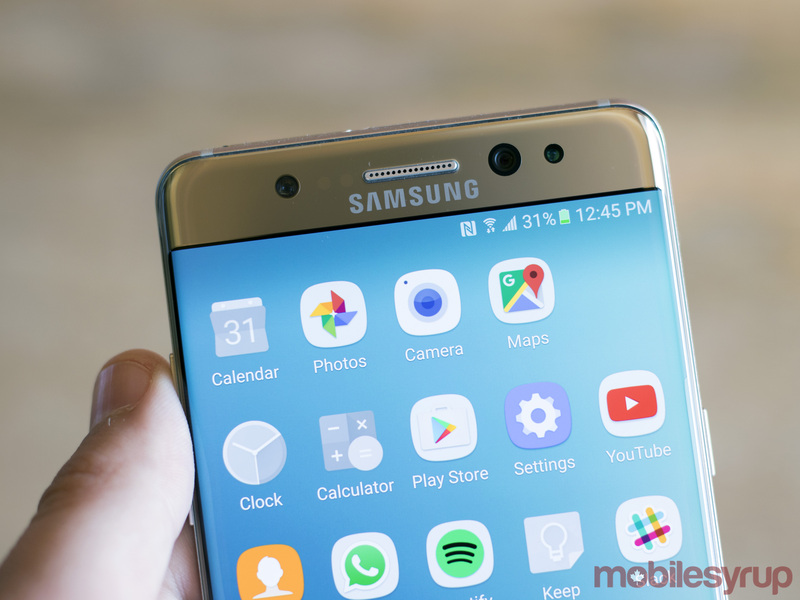 Following the second recall for the Note 7, Samsung Canada launched an exchange program, allowing customers to return the device for a full refund, or exchange it for a Galaxy S7 or Galaxy S7 Edge. 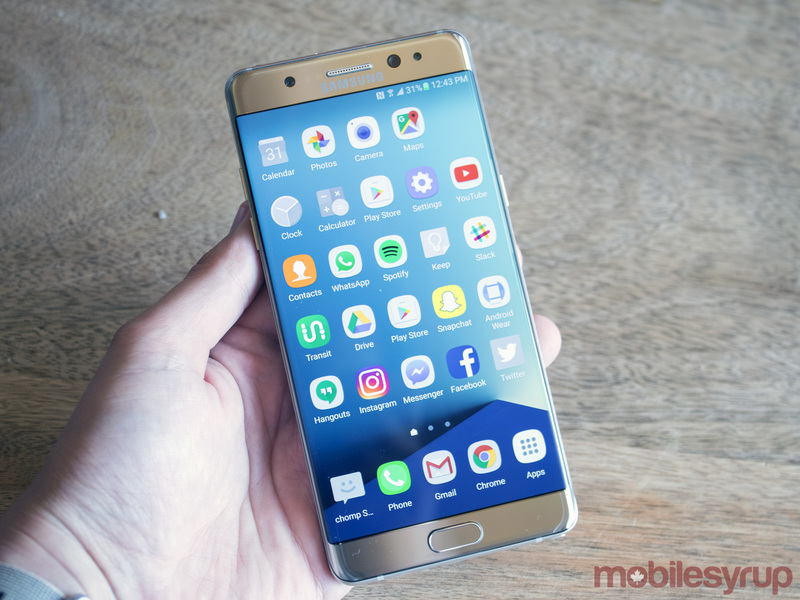 In an interview with MobileSyrup back in October, Samsung Canada COO, Paul Brannen, stated that the company could “brick” Canadian Note 7 devices if necessary. A class action lawsuit has been filed in the Ontario Superior Court by London, Ontario-based McKenzie Lake Lawyers LLP, claiming that Samsung was negligent in the case of the Note 7 because it either knew or should have known that the smartphone could potentially harm consumers. Samsung still has not revealed the official cause of the Note 7’s battery malfunction issues, though a third-party study conducted by Instrumental believes the issue stems from the smartphones battery compartment not having enough space for the smartphone’s lithium-ion battery to expand.